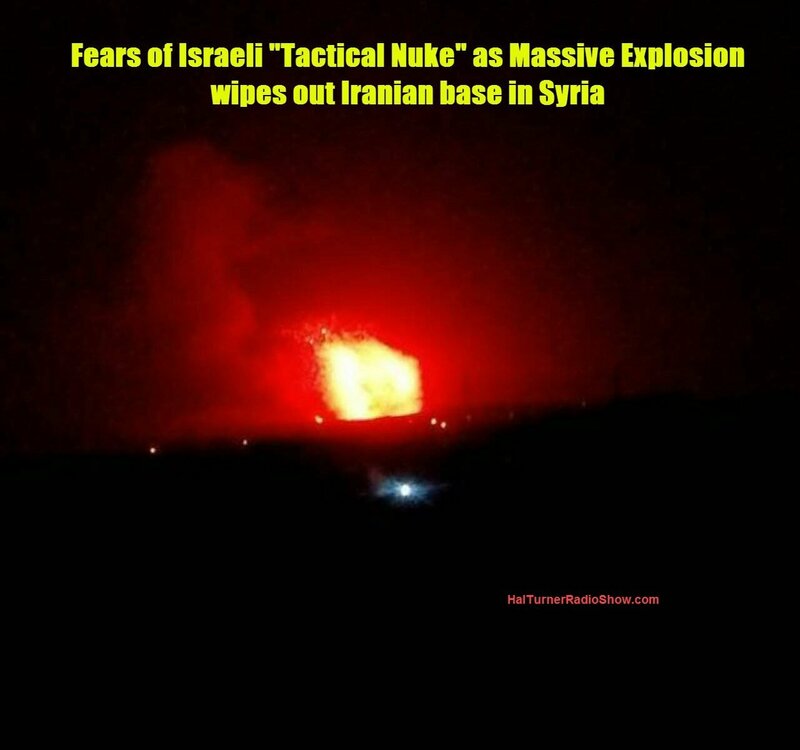 Israeli Bombing of Iranian Missile Base In Syria Is A Major Escalation – Tactical Nuke Used? At around 3:40 PM Eastern US time on Sunday, an utterly MASSIVE explosion took place at an Iranian base inside Syria. The photo above was taken from 5 kilometers (about 3 MILES) away, and well-into the explosion which “seemed to linger.” There are now widespread BUT UNCORROBORATED rumors Israel used a Tactical Nuclear Bomb against the Iranian base. This is a very-fast-developing story. Updates within minutes. Check back. . . The video below lasts only a few seconds. The cameraman told me he saw the “bright, white flash” then fumbled to get his camera started . . . capturing the rising blast AFTER the “flash.” The cameraman also told me directly that when he started to see what looked like a “Mushroom cloud” rising up as the initial flames dissipated, he shut the camera off and ran like hell. This video was taken from about 5 kilometers (3.5 miles) away . . . that’s how large the explosion was. Syrian Government has confirmed that bases in Hama and Aleppo have been hit by enemy missiles. Unconfirmed, so no official Syrian and or Iranian statement yet: dozens upon dozens of (mostly) Iranian soldiers (of all factions) have been killed tonight. Blood of all types needed for the hospitals of Suqailabiya and Masyaf… There’s a shortage and many wounded. SANA CONFIRMS Syrian Army Fire Brigade station has been hit near the attack site at the Iranian Brigade 47 base, in an attempt to kill all firefighters and stop the fire being put out. *Unconfirmed* reports that Israeli Prime Minister Netanyahu and his ministers are holding an emergency cabinet meeting at the Kirya military base in Tel Aviv following the alleged Israeli airstrike on an underground Iranian rockets depot in Syria. Russian Military is changing all its radio encryption; no longer communicating with US/Coalition or allowing us to hear what they’re doing in Syria. VERY BAD SIGN. Russian President Putin spoke today on the phone with Israeli Prime Minister Benjamin Netanyahu and warned against further Israeli military strikes in Syria. In the call, Putin stressed “the fundamental importance of respecting the sovereignty of Syria” and asked Netanyahu to “refrain from any actions that further destabilize the situation in this country and pose a threat to its security,” according to a statement by the Kremlin. According to the Israeli Prime Minister’s office, Netanyahu pushed back on Putin and stressed that Israel will not allow Iranian military entrenchment in Syria. In the last hour, there have been at least THREE (3) “Skyking” Emergency Action Message (EAM) transmissions over the United States Military Global High Frequency Communications System. An EAM is exactly what it sounds like: It is the highest priority message in the entire US Military. In layman’s terms, it means stop whatever you’re doing and do this right now. All these messages are encrypted in a manner that makes it impossible for anyone other than the military to decipher what the message means. The fact that EAM’s are being transmitted on the very evening that so much is taking place in the Middle East, is not a good thing. Iranian state-run mass-media outlet PRESS.TV has suddenly gone offline. It’s web site has either been taken down or attacked and taken offline. An overnight missile attack in Syria’s northern region has killed 26 pro-government fighters, mostly Iranians, a Syria war monitoring group said Monday. Minutes before it was scheduled to begin, the Likud canceled its celebratory Knesset opening faction meeting due to Netanyahu and several other ministers still being in Tel Aviv for a Security Cabinet meeting on the Syria strikes. COVERT INTEL Iran has called-up its QUDS force; a special forces unit of Iran’s Revolutionary Guards responsible for their extraterritorial operations. The Quds Force reports directly to the Supreme Leader of Iran, Ali Khamenei. Its commander is Major General Qasem Soleimani and his deputy was Hossein Hamadani. While “little is reliably known” about the force, as of 2007, its size was estimated at 15,000 troops. The United States has designated the Quds Force a supporter of terrorism since 2007. Israeli Emergency Cabinet meeting has ended; lasted about 90 minutes. This was a very urgent, very serious meeting. Not about what has happened but what is planned from both sides. The flames of war just got a bit hotter. 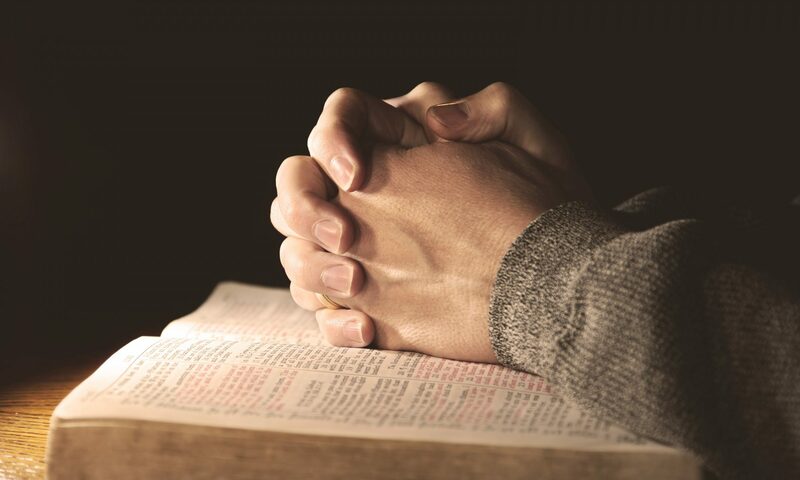 We will likely see much more, although in my spirit I experience a growing belief that the obedient will be removed from the world, We are so few in number that our absence will be unnoticed by all except for our immediate families. People do not want to know the Truth, Kate. They hate it, and they hate the messengers who bring it. But it is good to serve Yahuah. He loves everything we do that is in obedience to Him, and He will reward us fantastically in Heaven. And Kate, He WANTS us to WANT those rewards. He knows how valuable they are, and He WANTS to give them to His obedient children. So no matter who spits on us, we will stand firm knowing that we please our Father. He is worthy of all we can do in accord with His Word. Previous PostPrevious Its Easy To Serve The Satan – Just Be Yourself.